Katie Lee has some NEWS! February 22, 2017 — From the heart and soul of the old Southwest comes a folk opera by Arizona’s first lady of song and sass, Katie Lee. 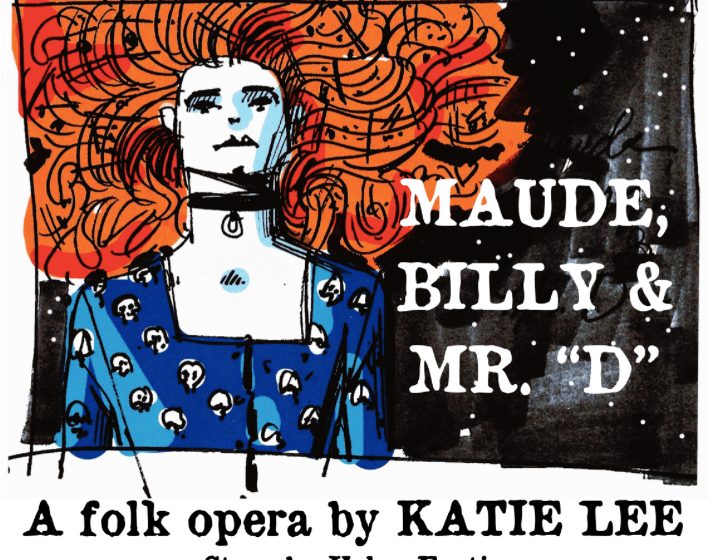 MAUDE, BILLY, & MR. “D” is a timeless treasure from her archive that is being produced by The Blue Rose Theater of Prescott and will be performed on May 6, 2017, at 7:30 PM at the Mingus Union High School Theater in Cottonwood, AZ. Tickets are $20 in advance, $25 at the door. MAUDE, BILLY, & MR. “D” whisks you away on a wild journey of romance, risk, and revelation, destined to discover whether true love can overcome the power of death. The show features performances by some of Arizona’s premier musical talents including Tommy Anderson, Chloe Davis, Jody Drake, Peter McLaughlin, and Kathleen Williamson. 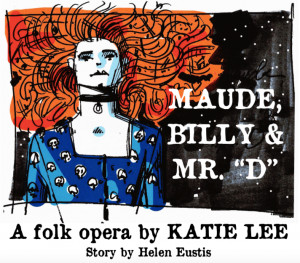 Don’t miss this opportunity to experience “how the West was sung” through the singular storytelling style of Katie Lee, one of the unique voices in the pantheon of great American folk singers, brought to life by an outstanding professional cast. For more information or to purchase tickets, call 928-899-5472. 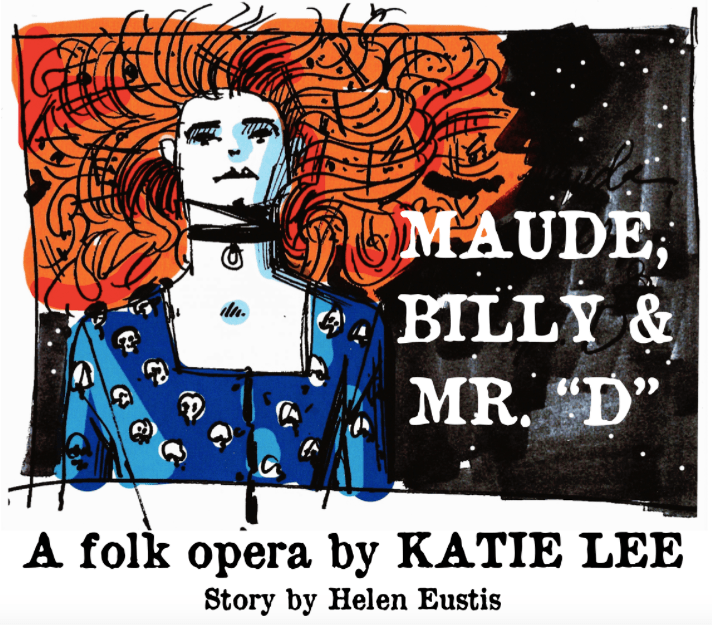 Please visit our Facebook page at Maude, Billy, & Mr. “D” by Katie Lee. To learn more about writer, troubadour, author, and pioneering environmental activist, Katie Lee, visit katydooit.com. To request an interview with Ms. Lee, contact publicist Michael Gallagher at 609-213-7617, or mjgallagher123@gmail.com. “This is a finely composed classic. In a league of its own.